I can understand “why” they think this. In fact, I have written more than one ebooklet on the subject of avoiding going to the ground in a fight, and the topic of the lore that seems to believe that all fights end up on the floor. There are two reasons many might think that I’m anti grappling. I preach that the internet maxim of “Almost all fights end up on the ground” really is a myth … IF one fighter is skilled at avoiding playing a wrestler’s game. I also have written that “I” tend not to go to the ground in a fight. Note: That doesn’t mean that I can’t fight on the ground. With my big size, I can actually use my weight to my advantage while grappling. Still, I tend not to go to the ground, if I don’t have to, and I’m good at finding ways not to have to. Why would I pick on the internet observation of all fights seeing to go to the ground? Well, I challenge a lot of “rules” that get repeated without being tested. Why would I want to wrestle an expert wrestler? I have to come up with something else. Right? When I see a good grappler take down a martial artist from a different style, I both admire the technique of the wrestler, and pity the other guy for not having practiced formally against such moves. To me, avoiding a grappler is the same as avoiding a TKD kick to my head, or countering a wrist lock. I practice self-defense against ALL styles, including grapplers. To become good at staying on your feet, you have to practice avoiding going to the ground against someone who knows how to drop you. Have you practiced avoiding getting taken down from someone good? Did they give you tips to stay on your feet? If you don’t have a set of skills for staying balanced on your feet, then you will end up on the floor. In which case, do you know how to ground fight? 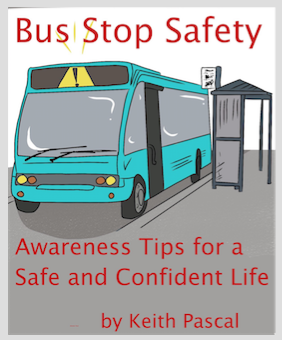 You Are Super Vulnerable at Bus Stops … It’s Time to Do Something About It! We Hate SPAM as much as you do. We promise!